Here's a look at the top trends -- and products among them. Keep your eye out for them at a store near you. Every year, healthy food companies showcase their latest products at the Natural Products Expo West in Anaheim, California. This year, there were over 86,000 attendees at the show and the products didn’t disappoint. After attending the show for several years, I was taken aback with the explosion of so many upcoming trends. Here’s a look at the top trends — and products among them — that made the top of my list. Keep your eye out for them at a store near you. CBD, a chemical compound found in the cannabis plant and associated with potential health benefits, is hotter than ever. You’ll now see it in an array of beverages and food products. Some CBD beverages include Weller sparkling water, which is available in tangerine, black cherry and watermelon; New Age Beverages Corporation’s Marley-branded cannabis-infused drinks; and CBD Living’s loose leaf teas. Weller also has CBD-infused snacks like coconut bites with hemp extract. Collagen, a protein said to promote healthy hair, skin and nails, is also increasingly found in a variety of food and beverages. One very eye-catching product you may see in stores is Vital Proteins collagen water, which comes in bold colors and flavors such as blueberry mint and blackberry hibiscus. 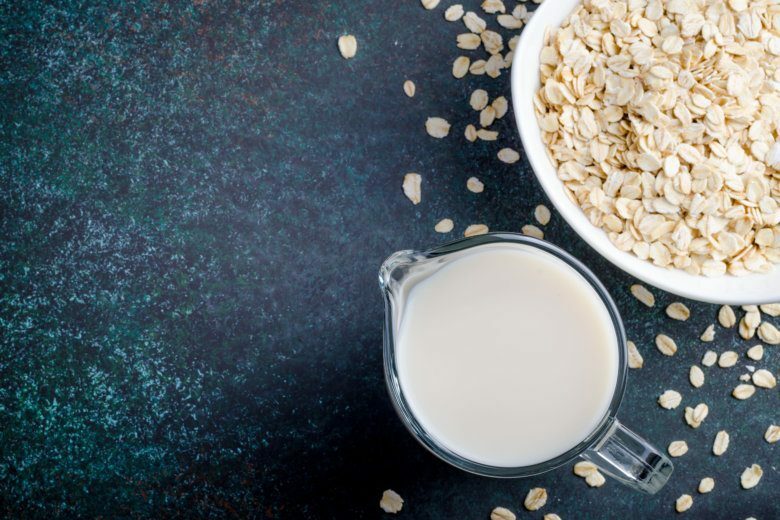 You may already be seeing oat milk from companies including Planet Oat, Silk and Quaker, but now you can find products made with this plant-based beverage. So Delicious released oat milk dairy-free frozen desserts, an indulgent ice cream-like line in flavors like oatmeal cookie, peanut butter and raspberry, and caramel apple crumble. Silk’s Oat Yeah line now also has oat milk yogurt, while Chameleon has oat milk blended with cold-brewed coffee. Natural Bliss and Mooala make oat milk creamers. High-protein jerky isn’t a new concept, but new innovations are growing in this category. Patagonia Provisions carries a buffalo jerky made from American bison that roam and graze on the open prairie. Made By True has a jerky trail mix, while Perky Jerky has protein snack packs with cheese crisps and dried cranberries. Made By True also came out with a South African dried meat favorite called biltong — a definite must-try snack! Consumers are asking for more real food snack packs, and food companies are answering their demands. SunButter released a snack pack including sunflower seed butter and gluten-free bagel chips from The Greater Knead. Stonyfield released snack packs including strawberry yogurt and graham crackers and vanilla yogurt and chocolate cookies. Shrooms, a dried mushroom company developed by a mushroom farmer who wanted to minimize waste of fresh mushrooms, released a dried mushroom and jerky snack pack line called Shrooms Splits. Other offerings include Chosen Foods’ avocado toast packs and Olli Salumeria’s packs with various combinations of meat, cheese and artisanal crackers. Another snack I plan on toting on my frequent plane rides is Peckish. These hard-boiled egg snack packs include two eggs with a dried spice dip in flavors like fried rice and everything, which tastes like an everything bagel. Everything plant-based is popular right now, but Atlantic Natural Foods’ Tuno — a plant-based seafood alternative made with non-GMO texturized vegetable protein — stood out. The company’s Loma Linda line also has a variety of favorite foods (think sloppy Joes and Italian Bolognese) made with plant-based proteins. Beyond Meat and Impossible Burger were two of the most popular booths at the show — both are known for their plant-based meat replacement products. Beyond Meat is made with pea protein and carries burgers, sausage and beef crumbles, while Impossible Burger is a plant-based burger that is sold in select restaurants throughout the country. Editor’s note: The author is on the Dannone Yogurt Board, but wrote this piece without the company’s knowledge or financial support. She has no affiliations with any of the other brands mentioned.